The study on which these findings are based was funded by the treatment-focused Gulf War Illness Research Program (GWIRP), within the Congressionally Directed Medical Research Program (CDMRP) administered by the U.S. Department of Defense health program. Most notably, according to the study's findings, "Results from this study implicate a role for epigenetic alterations in GWI." Gulf War Illness (GWI) is a chronic, multisymptom illness that affects approximately 25% of the 700,000 U.S. veterans deployed to the Persian Gulf during the 1990-1991 Gulf War. Symptoms include severe fatigue, memory and concentration problems, poor coordination, headaches, chronic pain, gastrointestinal problems, skin rashes, irritability, and impaired immune function. Even after 20 years, the diagnosis of GWI remains elusive, useful treatments are lacking, and the cause of this complex illness is poorly understood. Nevertheless, it is generally believed that exposure to a combination of pesticides, pyridostigmine bromide tablets given as a preventative treatment against nerve agent exposure, and stress experienced by military personnel during the Gulf War is responsible for the chronic, debilitating symptoms affecting veterans with GWI. 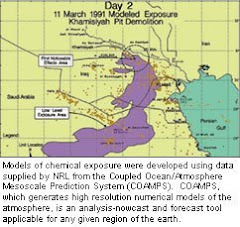 Animal studies have determined that exposure of rats to physiologically relevant doses of chemicals and stress used during the Gulf War results in neurobehavioral changes similar to those observed in GWI, as well as neuronal cell death in areas of the brain responsible for learning and memory, coordination of movements, and the maintenance of sensory and motor functions. In this application, we will investigate the molecular mechanisms responsible for the persistence of GWI symptoms, which may lead to the development of novel treatments as well as improved diagnostic markers for this disease. This proposal will be the first to evaluate microRNA (miRNA) changes that direct the late pathology of this multifaceted illness. MiRNAs comprise a recently discovered, important class of small ribonucleic acid (RNA) molecules that are abundant in many cell types and regulate the expression of target genes. Aberrant expression of miRNAs has been implicated in various neurodegenerative, cardiovascular, and metabolic diseases, as well as immune disorders and cancer. In addition, the discovery that miRNAs are detectable in the blood raises the exciting possibility that these molecules may serve as novel noninvasive biomarkers in the diagnosis of GWI. The objective of this study is to use an established rat model of GWI to (1) determine whether a combination of Gulf War-relevant chemical exposures and stress results in chronically altered miRNA expression patterns, increased inflammatory mediators, and increased neuronal cell death in the brain and spinal cord; and (2) determine the detectability of miRNA changes in the blood as potential noninvasive biomarkers of GWI. Results from this study will provide the foundation for future investigation in Gulf War veterans aimed to determine whether miRNA levels in blood distinguish ill from healthy veterans. In addition, identification of long-term miRNA changes will provide greater insight into the disease process of GWI and will also enable the identification of molecular pathways that can be targeted for the development of new treatments. Identified pathways may also reveal existing medications known to target these pathways that are currently approved for other indications and that may be used to treat Gulf War veterans as well. SOURCE: PubMed (published in Neurotoxicology), May 11, 2016, researchers Dr. Lisa M. Pierce et al. Pierce LM1, Kurata WE2, Matsumoto KW2, Clark ME3, Farmer DM3. 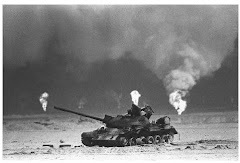 Gulf War Illness (GWI) is a chronic, multisymptom illness that affects 25% of the 700,000 US veterans deployed to the Persian Gulf during the 1990-1991 Gulf War. Central nervous system impairments are among the most common symptoms reported, including memory dysfunction and depression. After 25 years, the diagnosis remains elusive, useful treatments are lacking, and the cause is poorly understood, although exposures to pyridostigmine bromide (PB) and pesticides are consistently identified to be among the strongest risk factors. Epigenetic changes including altered microRNA (miRNA) expression and DNA methylation play an important role in in learning, memory, and emotion regulation and have been implicated in various neurological disorders. In this study, we used an established rat model of GWI to determine whether 1) chronic alterations in miRNA expression and global DNA methylation and DNA hydroxymethylation are mechanisms involved in the pathobiology of GWI, and 2) plasma exosome small RNAs may serve as potential noninvasive biomarkers of this debilitating disease. One year after a 28-day exposure regimen of PB, DEET (N,N-diethyl-3-methylbenzamide), permethrin, and mild stress, expression of 84 mature miRNAs and global 5-methylcytosine (5mC) and 5-hydroxymethylcytosine (5hmC) content were analyzed in the brains of GWI rats and vehicle controls by PCR array and enzyme-linked immunosorbent assay, respectively. Plasma exosome RNA next-generation sequencing analysis was performed in pooled samples to discover potential noninvasive biomarkers. We found that combined exposure to low doses of GW-related chemicals and mild stress caused epigenetic modifications in the brain that persisted one year after exposure, including increased expression of miR-124-3p and miR-29b-3p in the hippocampus and regional alterations in global 5mC and 5hmC content. GW-relevant exposures also induced the differential expression of two piwi-interacting RNAs (piRNAs) in circulation (piR-007899 and piR-019162). Results from this study implicate a role for epigenetic alterations in GWI. Evaluation of the diagnostic potential of plasma exosome RNAs in veterans with GWI is warranted.